This is a sponsored post written by me for National Nonwovens. All opinions are my own. 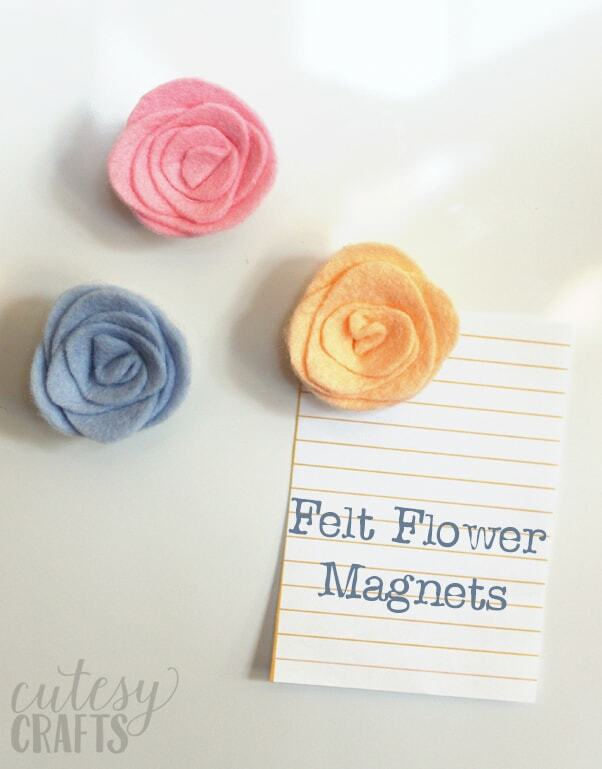 If you’ve been here a while, you know that I have a thing for pretty felt. 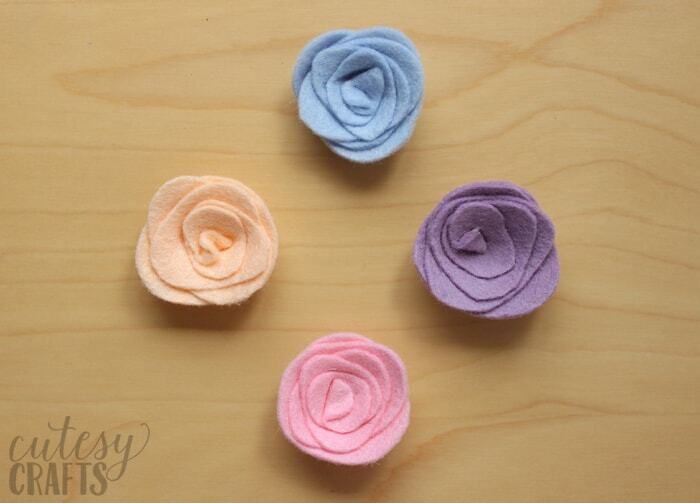 I got some lovely new colors from National Nonwovens, and I knew I needed to make some more felt flowers. 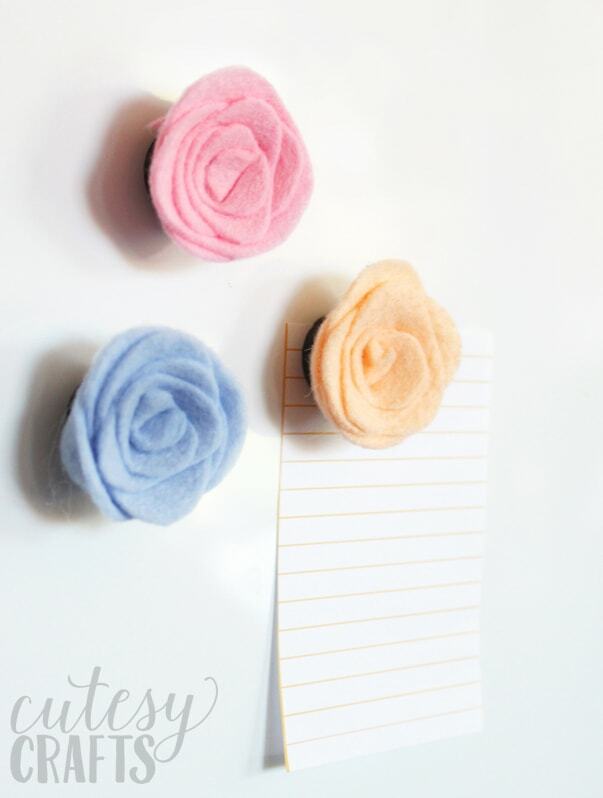 I came up with this template to make some really easy flowers that can be used for lots of things. I decided to use these ones to make some magnets for our fridge. They look so lovely next to the embroidered magnets that I made a few years ago. Take a look at these beautiful colors from National Nonwovens! From left to right, I used Wisteria 0593, Robins Egg 0580, Pink 0909, and Blush 1601. 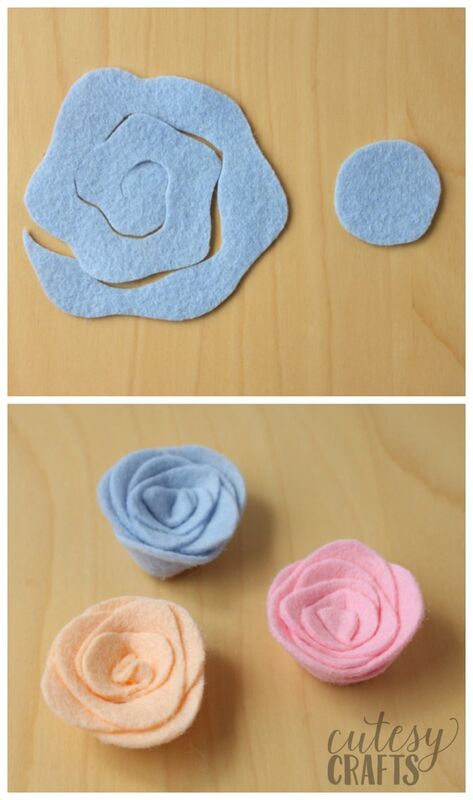 First, cut out your felt using the felt flower template provided. I find it’s easiest to use clear tape to hold the patterns down, rather than pins. 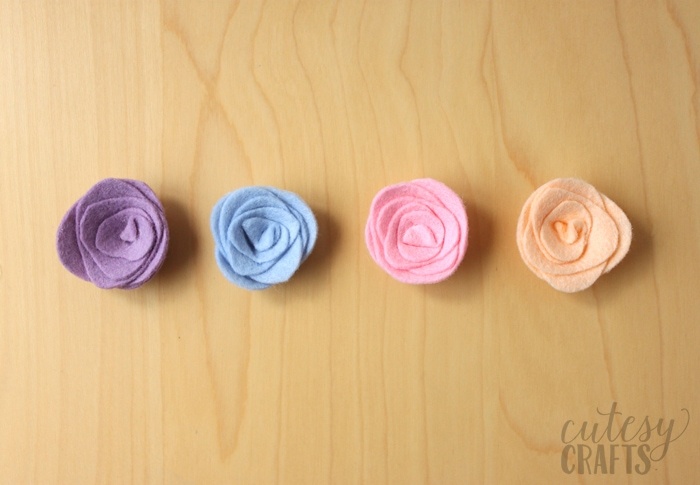 After your spiral shape is cut out, start with the middle and roll it into a flower shape. Once you are satisfied with how your flower looks, squeeze some hot glue onto the back and glue the circle on. 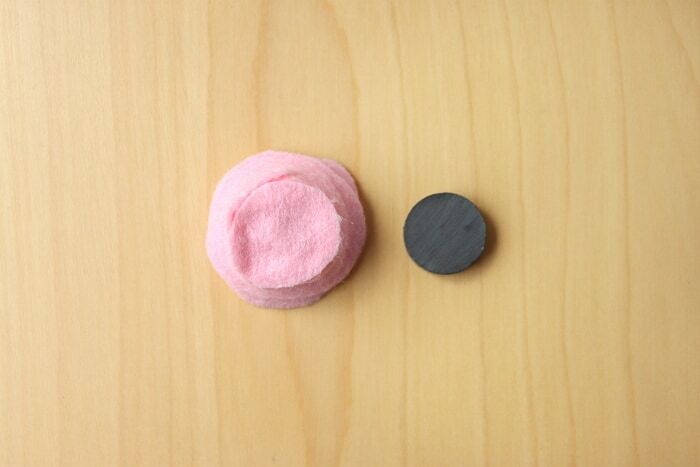 Glue a magnet on the back of the felt circle, and you’re done! They look great up on the fridge, or you could even use them on a filing cabinet in your office. It’s such an easy way to add a little color and personality to your space! If you liked this craft, be sure to go to my felt crafts page for more. Also, keep up with the latest from National Nonwovens on their Facebook page. These are so cute! Love the colors!